This house was located near a marina in Milford, a quaint shoreline town of Connecticut. The homeowner wanted the sights and sounds of the marina to fill the kitchen during boating season. 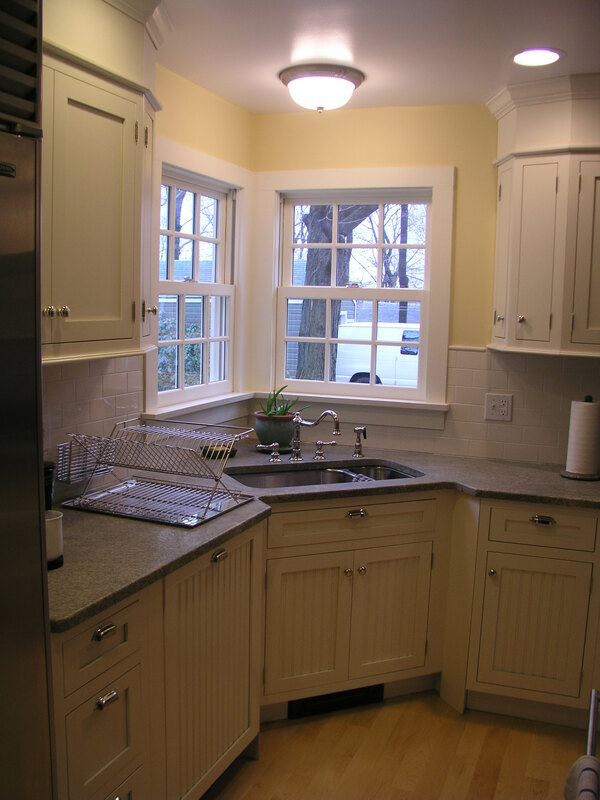 It was also important for the new kitchen design to be clean and project traditional shoreline elegance. It included an open and airy atmosphere. In order to bring in the sights and sounds of the marina, we positioned a set of windows in the back corner of the kitchen. This corner gave a direct view into the marina and was a perfect location for a recessed corner sink. An open and airy atmosphere required that several design elements had to be carefully selected. Color selection played an important roll as well. Cabinetry, countertop and flooring were all key elements. 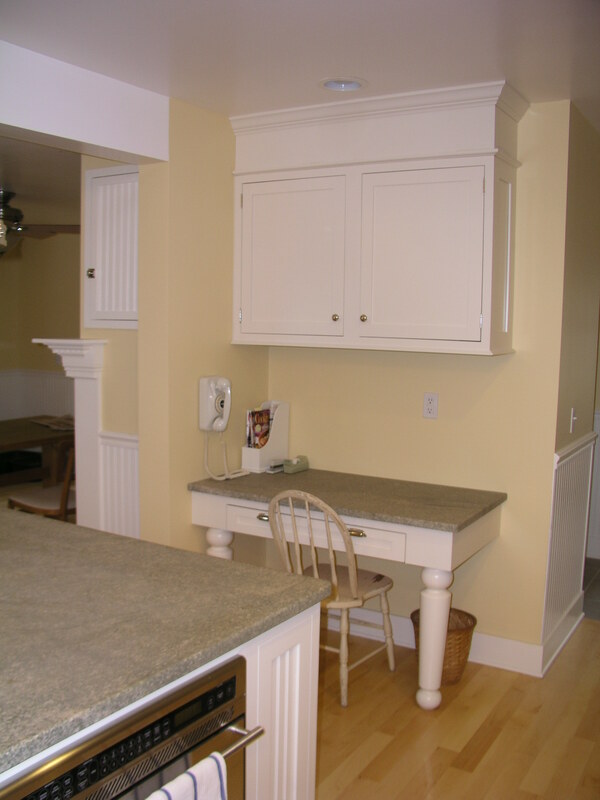 Inset bead board doors on the base cabinets were chosen to give a shoreline cottage feel to the kitchen. 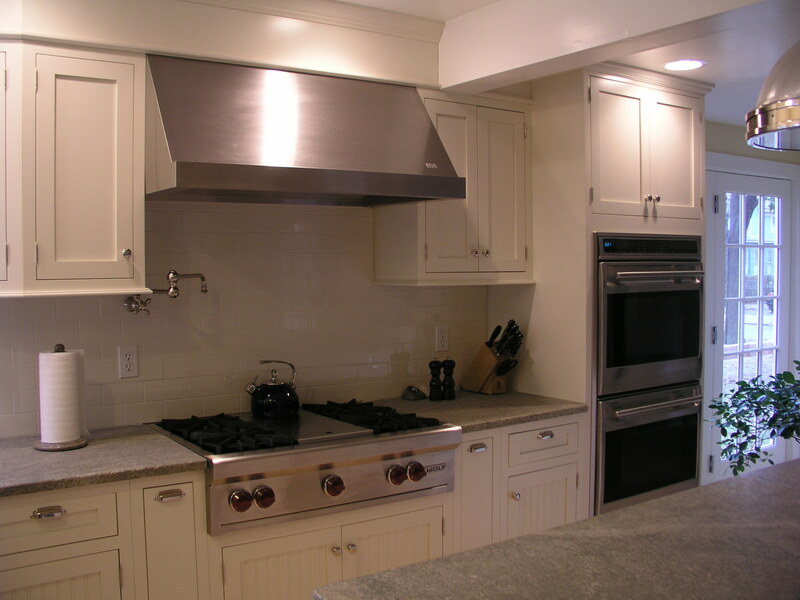 A flat panel door was used for the upper wall cabinets. The edge profiles of the upper doors matched those of the base doors. The designer felt that putting the bead board doors on the wall cabinets weighted down the overall appearance of the kitchen. The painted eggshell low sheen finish was the perfect finish to reflect the style that the client desired. Traditional elegance was accomplished with the introduction of subtle details such as upper crown molding, country nose light rail and a subway tile backsplash. We elected to place the microwave in the island because it was felt that its presence in the wall cabinets would distract from the overall look of the kitchen. This allowed the upper cabinet design to remain pure and symmetrical. The countertop also had to maintain a light feeling. 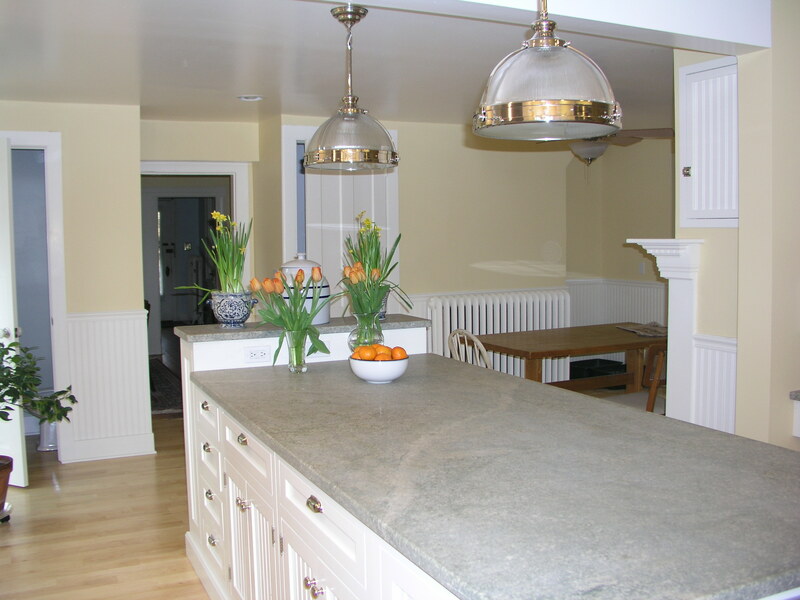 A honed Portofino green granite was used to accomplish this. 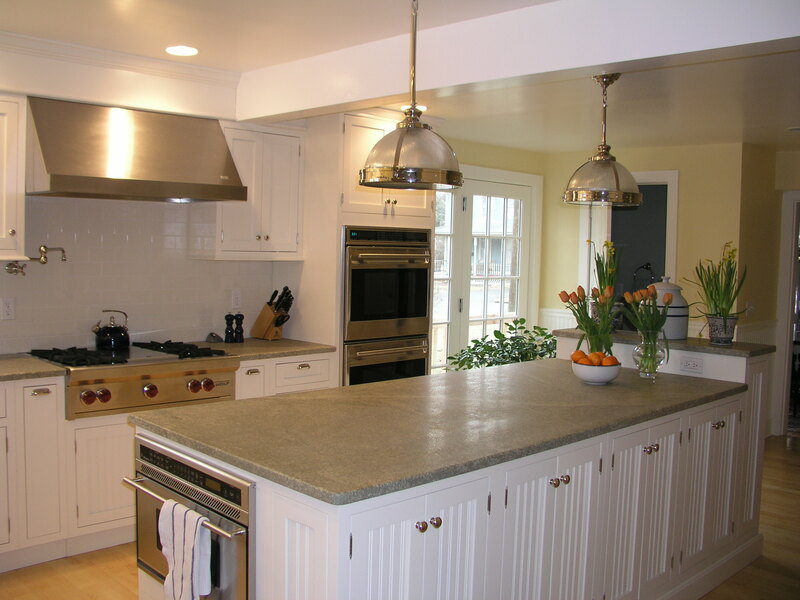 Honing the granite removed the high sheen allowing it to work better with the low sheen eggshell paint of the cabinets. It also softened the appearance of the countertop. Flooring selection was a clear maple and worked in harmony with the overall look of the kitchen. In keeping with the clean lines and elegance, we chose an off-white subway tile for the backsplash. The nickel Whitehaus faucet and pot filler matched the finish of the hardware adds the final touch. This timeless design will be enjoyed for many years to come. Great job!